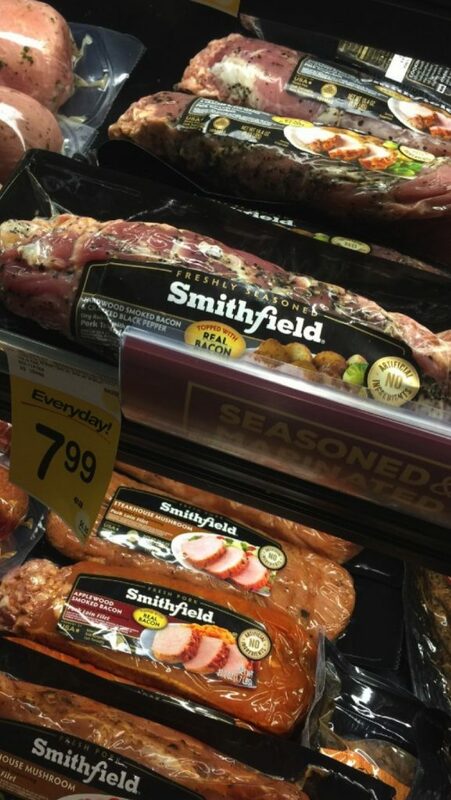 This sponsored post was written by me on behalf of Smithfield® Marinated Fresh Pork. The opinions and text are all mine. I’m a sucker for a tasty dinner but often times a tasty dinner means spending hours in the kitchen. While I love to cook and I could spend hours in the kitchen, I simply don’t have the time. With summer coming, my time is even more limited. Football season starts for my son and we are always on the go! 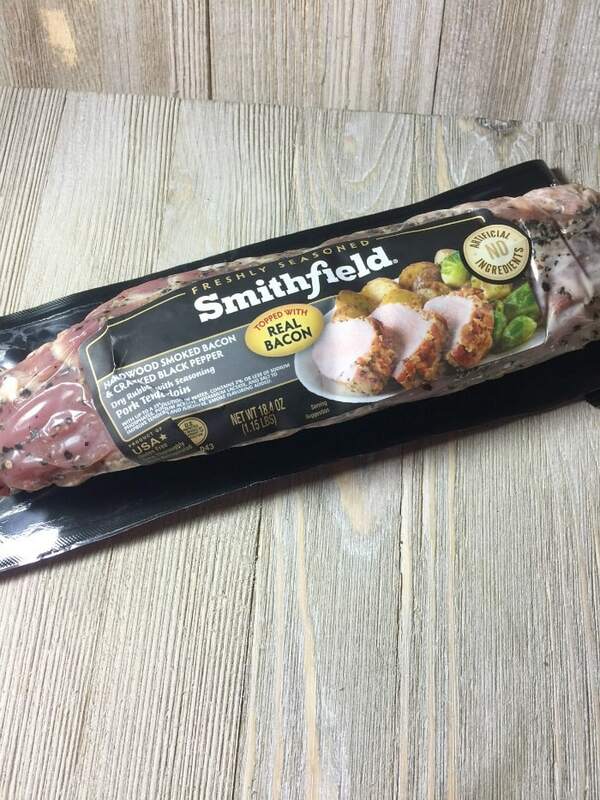 I love being able to pick up Smithfield Marinated Fresh Pork (which comes in a variety of cuts and flavors) because it’s made from 100% fresh pork with no artificial ingredients and it comes pre-marinated! You can roast, sauté, grill or slow-cook your tenderloin. With 4 kids, a full-time job and my blog, I need dinner on the table in 30-minutes or less! And I need real flavor, real fast! For this recipe, I headed over to Safeway and picked up Smithfield Roasted Garlic & Cracked Black Peppercorn Pork Tenderloin. I found it in the fresh meat section at Safeway. We eat chicken so much that I like to spice up dinner with pork sometimes. It’s a much-needed change! Believe me, my husband gets tired of having the same thing over and over again. Pork is awesome since there are so many different things you can do with it. If you need some inspiration just check out the Smithfield website for recipe ideas. Since I picked up the Smithfield Roasted Garlic & Cracked Black Peppercorn Pork Tenderloin I knew I wouldn’t need to do much, if anything, at all to get some yummy flavors. Let me tell you – I was not wrong! This pork tenderloin was packed with flavor and just the right amount of spice. I served the pork tenderloin with some mash potatoes and a dijon marsala sauce. Yumm!! You know what the best part is? Dinner was cooked in 30-minutes and it was a good dinner! Place your pork tenderloin in the oven at 425 degrees in a glass dish for 25 to 30-minutes. While your tenderloin is cooking, start on your sauce. Melt butter in a saucepan over low heat, add in the minced garlic. Cook for 1 to 2 minutes or until garlic is fragrant. Make sure to stir often to avoid the garlic from burning. Add the Marsala wine and combine with the butter and garlic. Next mix in the Dijon, stir until combined. Slowly stir in the heavy cream. Bring to a boil while stirring continuously. Reduce heat and let simmer for 15 to 20 minutes. You’ll want to stir every few minutes to avoid burning. 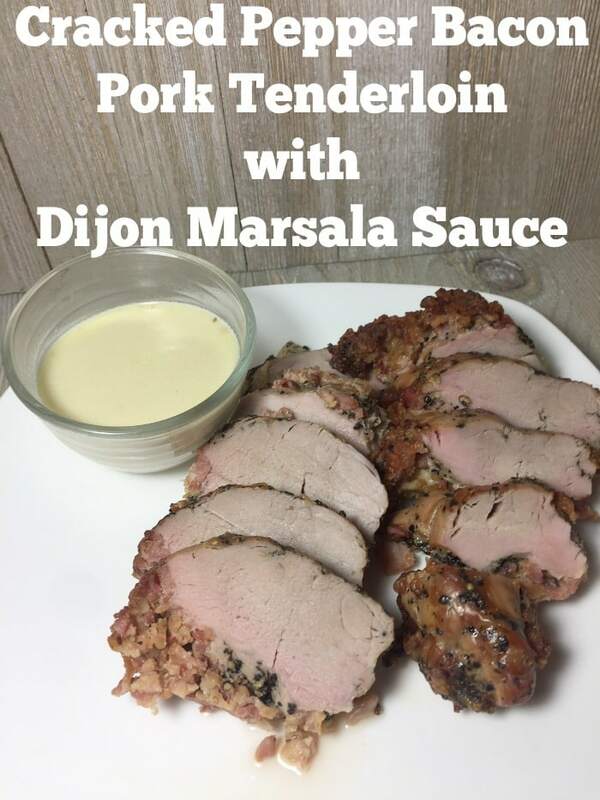 Serve the sauce in a dipping cup or drizzle over the pork! Be careful not to use too much sauce on the pork as the pork has a ton of flavor. 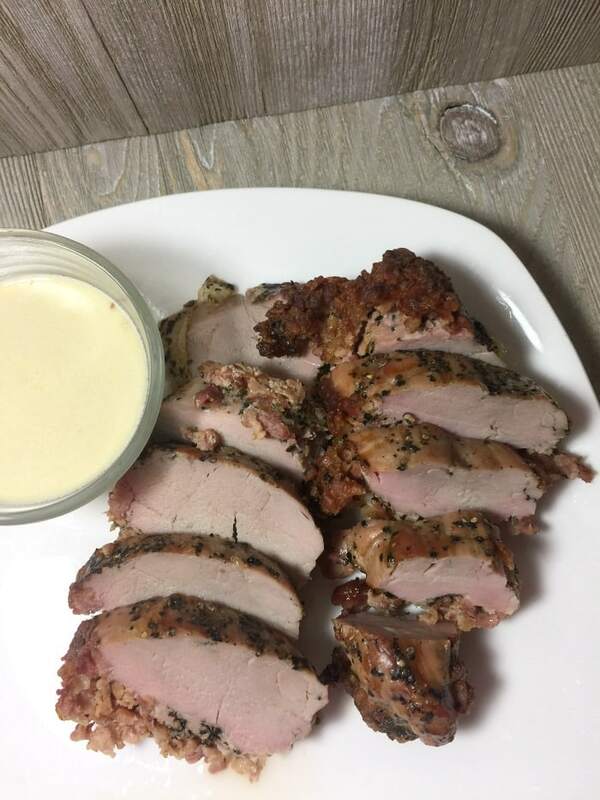 Do you have a favorite pork tenderloin recipe? Smithfield wants to challenge you to see what you can do with Marinated Fresh Pork to get a flavorful meal ready in about 30 minutes with their “What Can You Do With 30?” meal and tip contest. For more 30-minute meal preparation ideas, and to submit your original recipe for a chance to win great prizes, head to www.SmithfieldRealFlavorRealFast.com.